Now, perhaps more than ever, we understand our world is shaped by complex, interactive, dynamic systems. Increased climate volatility has shown us why we need to understand these complex systems when we design landscapes. While landscape architects have been fast to embrace ecological systems thinking, they have been slower to see how systems thinking can transform our ways of imagining, visualizing, and then intervening in the environment. The current trends in American residential landscapes by registered Landscape Architects make some interesting reading, if these indeed reflect he concerns of the affluent segment of ht population that own homes and can afford to hire Landscape Architects to design their gardens via Redesigned Survey Reveals Latest Residential Landscape Design Trends | asla.org. In this regard one wonders what perceptions are being met in terms of sustainability with the list of features in the second list, these are all high consumerist items to my mind, as is the idea of individually landscaped residential erven?I.e on hose one large ticket residential consumer loan! 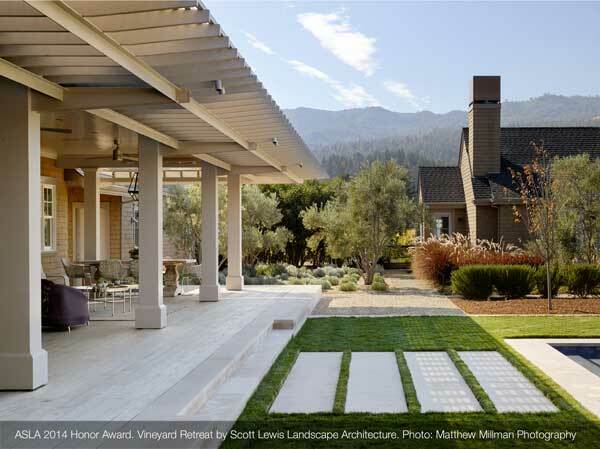 Sustainable and low-maintenance design are the top trends for residential landscape projects, according to the 2015 Residential Landscape Architecture Trends Survey conducted by the American Society of Landscape Architects (ASLA). Landscape architects were asked to rate the expected popularity of a variety of residential outdoor design elements in 2015. The survey was fielded February 13 through February 27, 2015, with 581 responding. ASLA redesigned the survey for 2015 and introduced a new methodology to more clearly rank the popularity of different types of landscape projects. The survey asked landscape architecture professionals about the estimated popularity of various residential design elements for 2015. The survey was fielded February 13 through February 27, 2015, with 581 responding. ASLA redesigned the survey for 2015 and introduced a new methodology to more clearly rank the popularity of different types of landscape projects. The top three most popular outdoor design elements include fire pits/fireplaces (78 percent), lighting (72 percent) and grills (63 percent). The top landscape and garden elements include native plants (85 percent), food and vegetable gardens (79 percent) and low-maintenance landscapes (78 percent). Pergolas (51 percent), decks (45 percent) and fencing (42 percent) are expected to be the most popular outdoor structures. The hottest sustainable design elements include native/adapted drought-tolerant plants (83 percent), permeable paving (77 percent) and drip/water-efficient irrigation (74 percent). Forty percent of respondents noted that the most popular outdoor recreation amenities for 2015 will include spa features—hot tubs, Jacuzzis, whirlpools, and indoor/outdoor saunas—and swimming pools. Founded in 1899, ASLA is the national professional association for landscape architects, representing more than 15,000 members in 49 professional chapters and 72 student chapters. Members of the Society use “ASLA” after their names to denote membership and their commitment to the highest ethical standards of the profession. Landscape architects lead the stewardship, planning, and design of our built and natural environments; the Society’s mission is to advance landscape architecture through advocacy, communication, education, and fellowship. 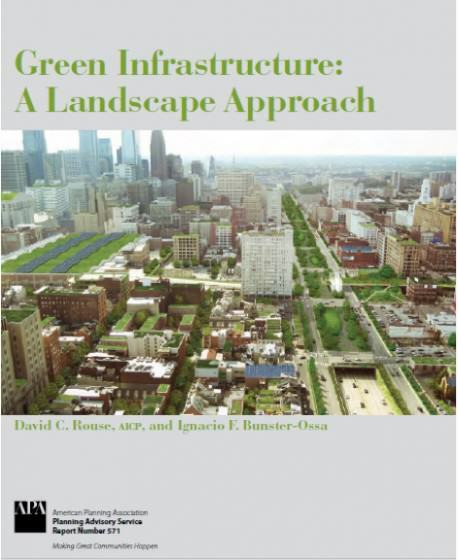 A review of Green Infrastructure: A Landscape Approach by David C. Rouse and Ignacio F. Bunster-Ossa. 2013. 157 pages. ISBN: 978-1-611900-62-0. Report Number 571. Planning Advisory Service. American Planning Association. Available here. This PAS Report, in line with the current principles of sustainability, discusses green infrastructure (GI) as the visible expression of natural and human ecosystem processes that work across scales and contexts to provide multiple benefits for people and their environments. Unlike other approaches that envision green infrastructure from the standpoint of social infrastructure (e.g., by building capacity in improved health, job opportunities, community cohesion, etc. 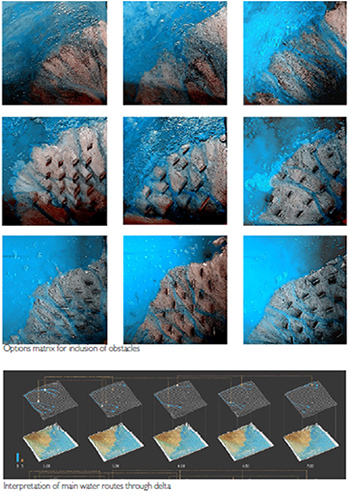 ), this report addresses it first within the matrix or context of hard infrastructure. via Complex and Useful, Green Is Infrastructure | The Nature of Cities.